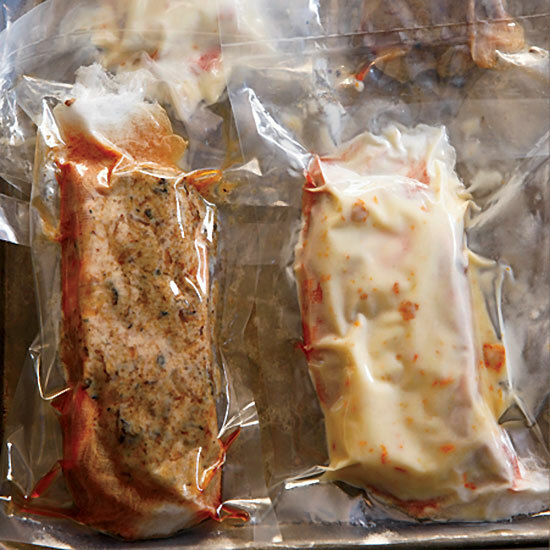 The Ideas in Food lab reveals an amazing method for flavoring full-Wagyu steaks: vacuum-packing them along with flavorful marinades. 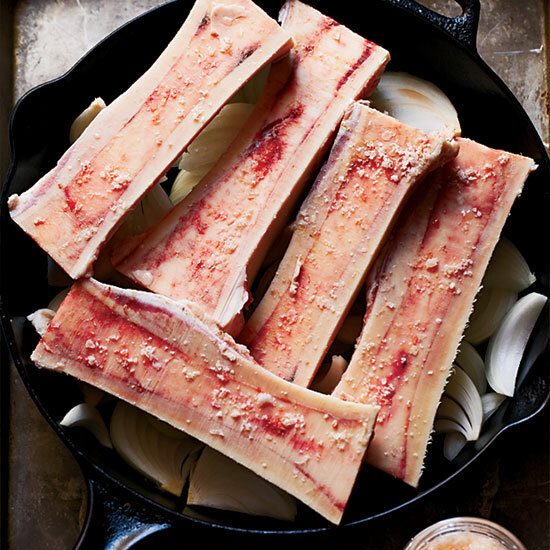 Roast split marrow bones and onions in a blazing-hot wood-fired oven. 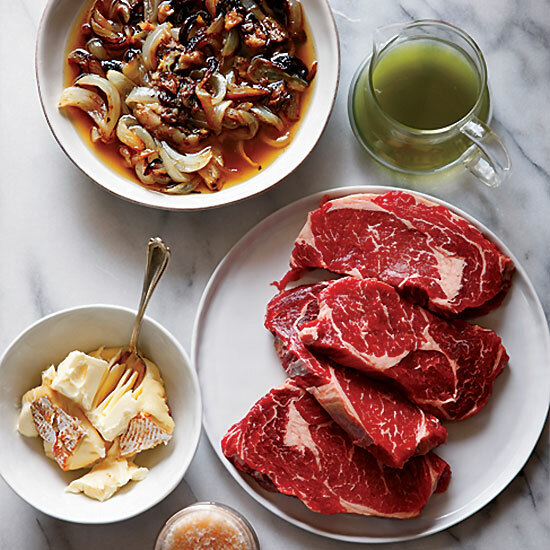 Create two different marinades for the steaks: Marrow and onions with Chartreuse essence, and St. Albray cheese butter. 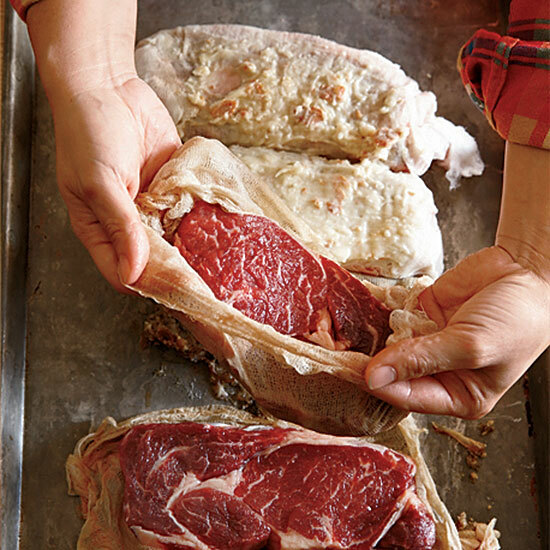 So the steaks' texture isn't affected, bundle them in cheesecloth before applying the marinades. 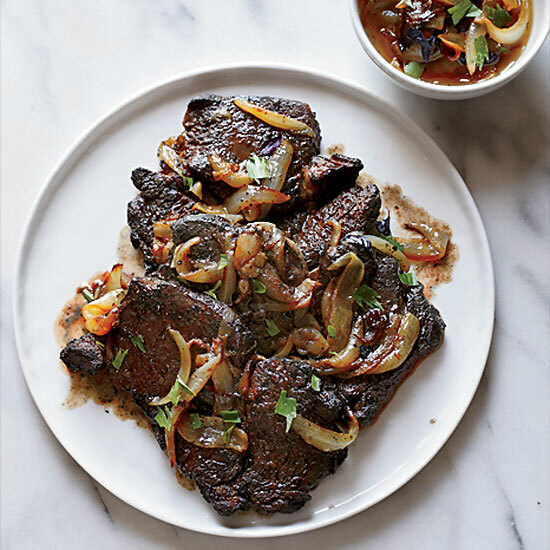 Seal the steaks in airtight plastic to help the marinade penetrate the meat. After several days, remove the cheesecloth. 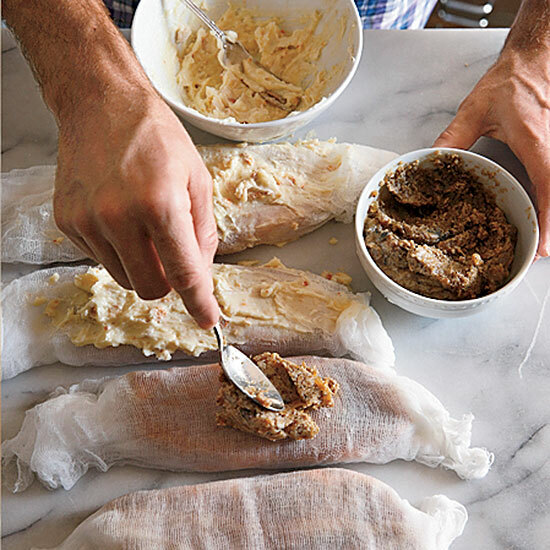 Pat the steaks dry, then season with salt before wood-roasting. Add a final garnish of more roasted marrow and onions.